In honor of the thieves who almost got away over 100 smartphones at Coachella a couple of weeks ago, this week’s tip is how to set up and use Find My iPhone. Those thieves were thwarted when a few of the victims used computers and other iOS devices to check Find My iPhone, and discover a man with their devices in his backpack before he could get away. For such a simple and easy to use system, it is a powerful tool that can aid you in finding lost devices, or bringing stolen ones home. When you first set up an iOS device from scratch, you are prompted to enable iCloud and Find My iPhone, so the majority of iOS users probably have it enabled on their devices, even if they aren’t aware. However, I will approach this as if you have it disabled. I will also cover what you can do with Find My iPhone once it is enabled, so read on, even if you know you already have it set up. First of all, for Find My iPhone to work, Location Services must be enabled. Without this, your device can’t send its GPS location or last determined location via cell or Wi-Fi signal, meaning that Find My iPhone will have no way to track it. This is located in Settings-Privacy-Location Services. 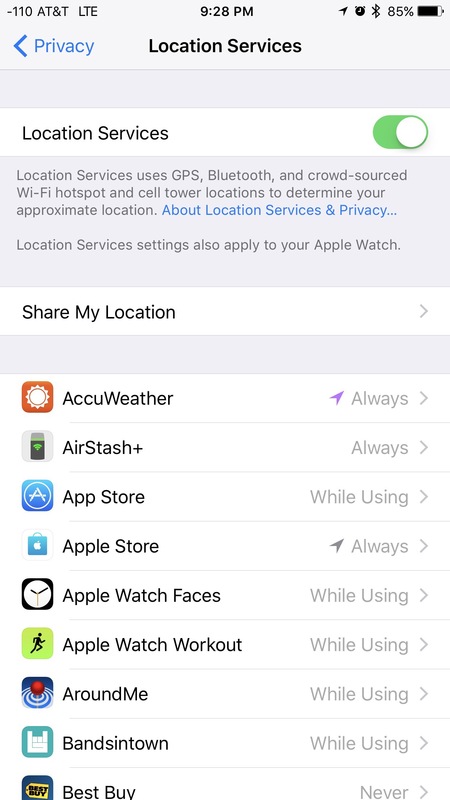 If you go into the Location Services menu, you can fine tune which apps are able to use Location Services, and for those that offer the option, choose between allowing the app to track you all the time, or only while you are using the app. 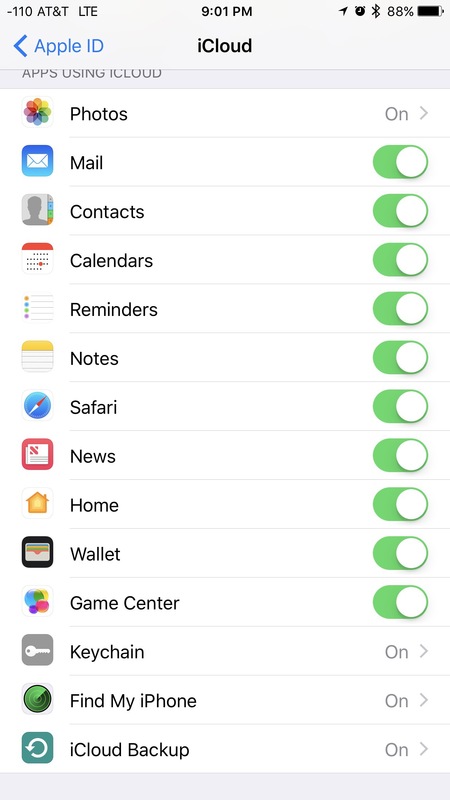 For those who are very privacy conscious when it comes to the apps and services on their phones, these options would allow you to only enable the Find My iPhone app to use your location, if you so chose. Next up, you will need to go to your iCloud settings to enable Find My iPhone. 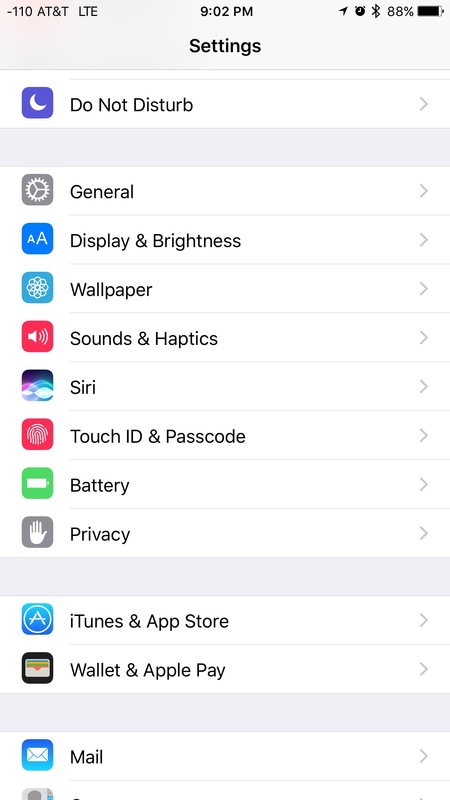 On older iOS devices running OS versions before 10.3, there is an iCloud menu in Settings. However, starting in 10.3, all personal information, passwords, payments, and accounts have been moved into a single manu tied to a banner at the top of Settings. As you can see, this banner will have the picture tied to your account, and inside, will give you fast access to your personal data and Apple accounts on your iPhone. 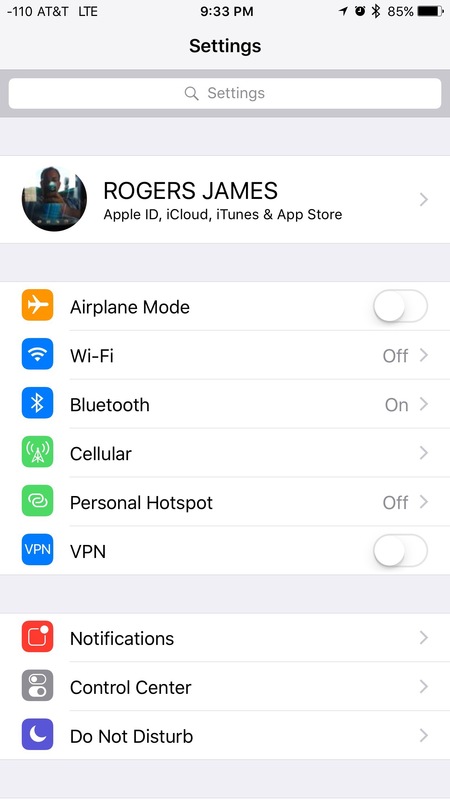 The iCloud menu has been moved here, along with iTunes and the App Store, and Family Sharing. The iCloud menu itself hasn’t changed substantially from recent versions. Find My iPhone is the next to the last item on the list. There are just two options available. 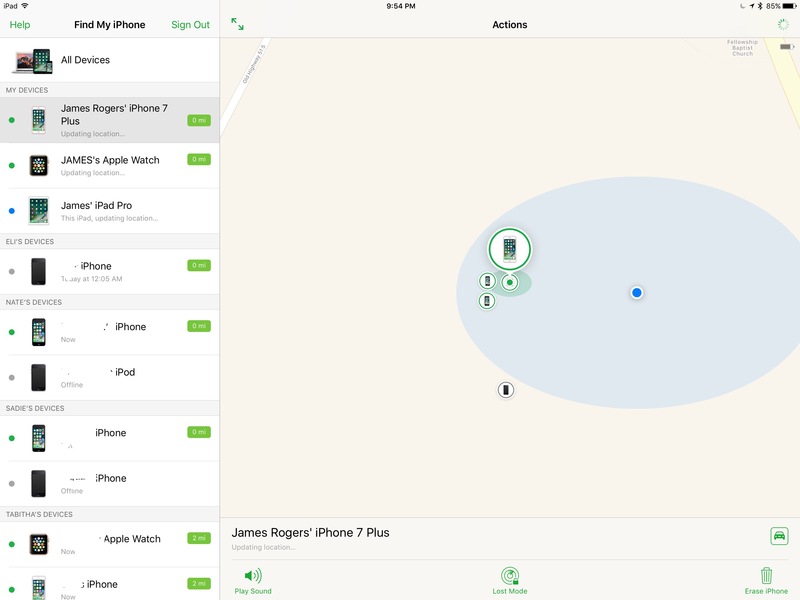 You can enable Find My iPhone using the top toggle. The bottom toggle enables a handy feature that will have your iOS device store and transmit its last known location if the battery is running low. This is a great way to help you search for a device that you don’t realize is missing at first. 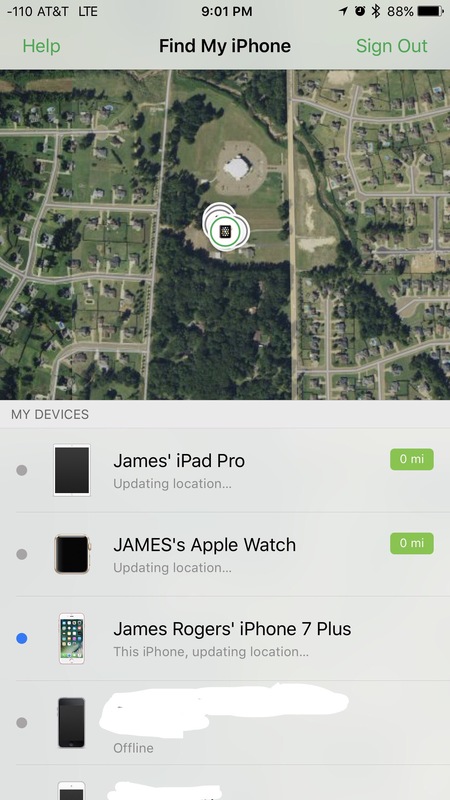 Now that you are all set up, simply open the Find My iPhone app to verify operation. The service is very simple and easy to use, wherever you access it. 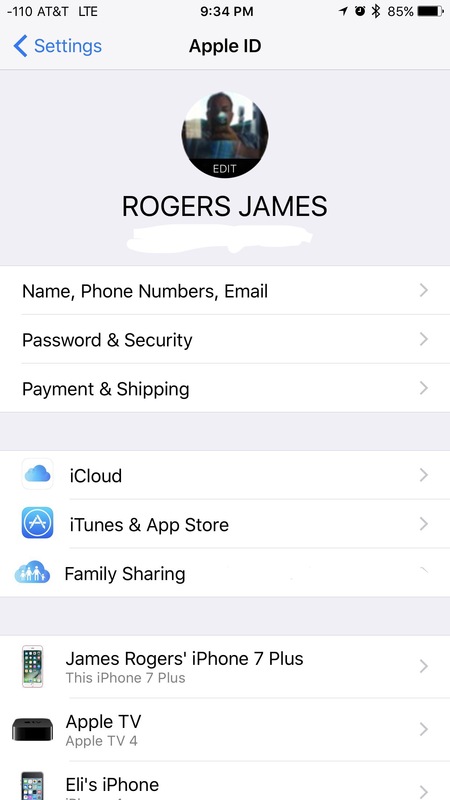 Above you can see the iPhone version of the main screen, where all of the iOS devices tied to your account appear, whether by your iCloud account or by Family Sharing. Here you can see the iPad’s interface. Simply tap on a device in the list to highlight it on the map. Following that with a tap on your chosen device’s icon brings up your tracking options. First off, you can play a sound. This is hugely helpful when tracking a lost device, whether it’s in another room of your house, or halfway to the local grocery store, face down in the bike lane with a destroyed case and a shattered screen. Yes, this actually happened, courtesy of my daughter. I was able to find it while walking down the side of the road in the dark, by listening for the sound. The map of the device’s location got me close. The sound is what got me the rest of the way there. Pro tip for parents: If you ever need to wake a child up who isn’t budging in the morning, this will solve your problem. You can thank me later. However, don’t overuse it. This isn’t a nuclear option, but it is pretty close. 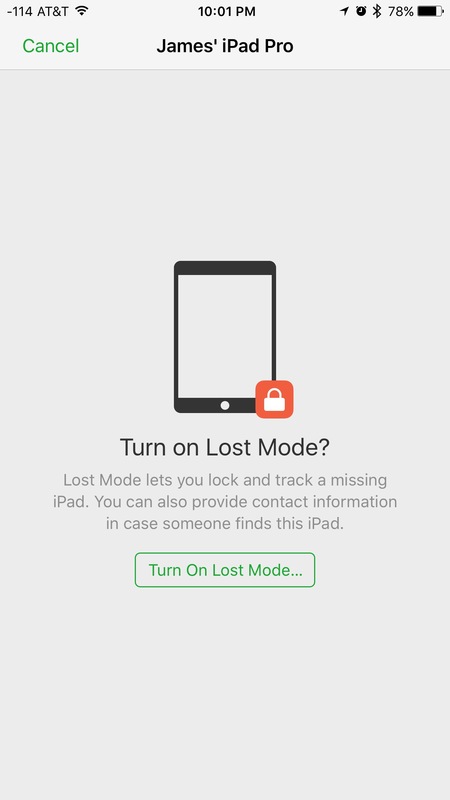 Lost Mode is a handy feature that adds an extra layer of protection, and gives a Good Samaritan a better shot a being able to return the device to you. You can add your phone number and a message that will be displayed any time your device is activated. Another great feature of Lost Mode is that it sends you an email with a link to a map of its location as soon as your device it turned on and has cell signal or Wi-Fi. So, even if someone has stolen your phone, if it still has battery life, you have a shot at getting it back without the thief knowing that they have been snitched on. To de-activate Lost Mode once you have your device back, you just have to either enter your correct passcode, or use TouchID to unlocks it. 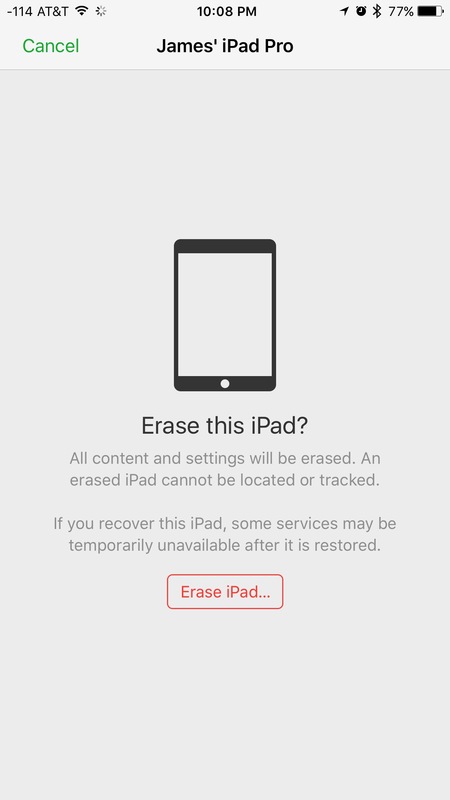 You also have another one of those nuclear-level options, with the ability to remotely erase your iOS device. Once you do this, your device can’t be located or tracked, so it is more of a last resort to protect your data on a device that you know is gone for good. 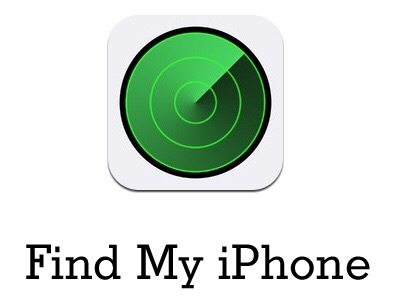 There are a couple of other cool features in Find My iPhone, as well. 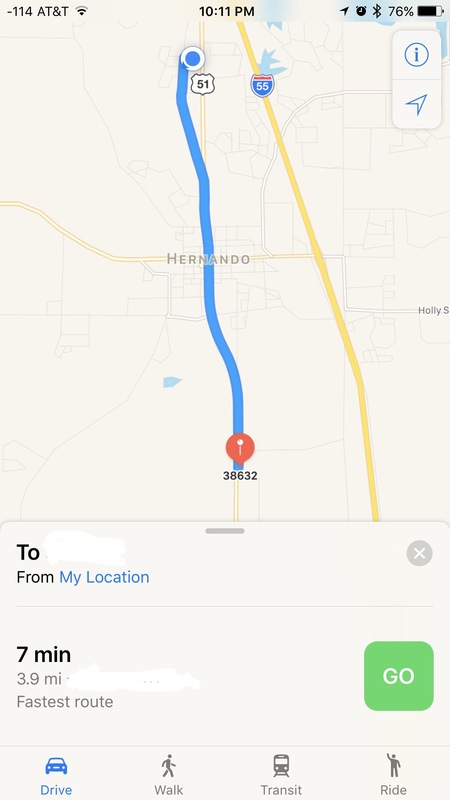 After selecting a device that isn’t near your current location, tap the car icon to get instant Apple Maps directions to it. I also like that the remaining battery for each device that is online and being tracked is available. This gives you a good idea of how much time you have to retrieve your device while you can still use the Play Sound feature. 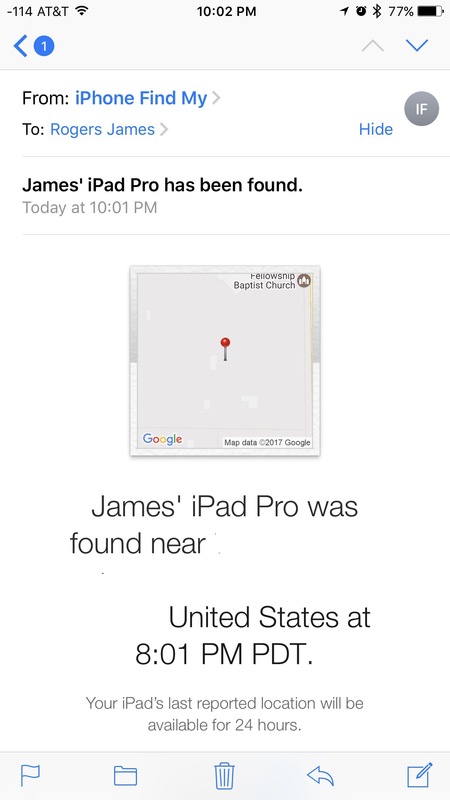 If you lose an Apple device and don’t have easy access to another one with Internet access, then what good is Find My iPhone? Thankfully, Apple thought of this, and as such, Find My iPhone is also on the Mac, as well as being available from the web at iCloud.com. As a Windows user, I appreciate that Apple wisely gave us access to the featute in the cloud so all iOS users can benefit. Here’s a neat Find My iPhone-like trick for the Apple Watch. 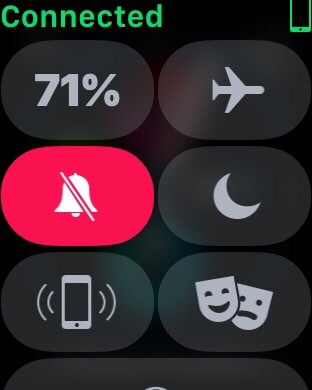 If you swipe up from Control Center, you have the ability to trigger a Find My iPhone sound from your Watch. The icon to trigger the ping is in the bottom left corner. Where Play Sound in the full app repeats the sound, this method just does one short sound sequence per button press. Still, it’s incredibly handy when you are quickly trying to find the iPhone tied to your Watch. Find My iPhone also comes with the added benefit of iOS Activation Lock. This service forces you to use your iCloud credentials to deactivate Find My iPhone before you can erase your device. This means that a thief can’t easily just erase your phone and sell it whole. 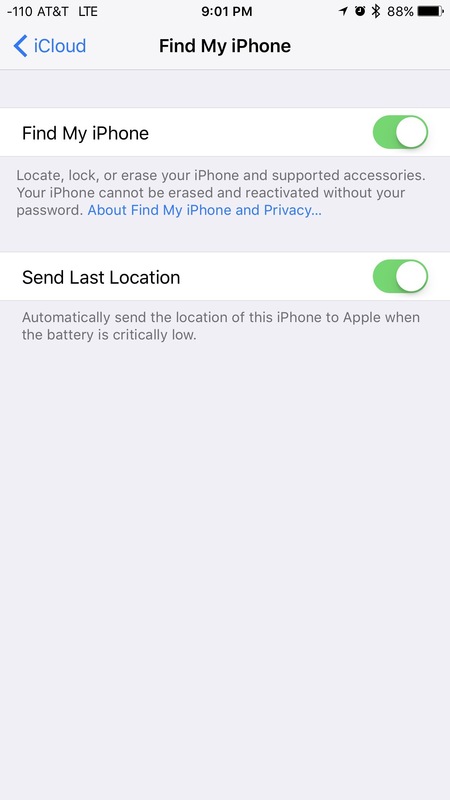 This feature also stays in effect if you use the Erase Phone feature in Find My iPhone. Before the iOS device can be activated and set up, the original iCloud login must be entered to release the lock. If you have ever looked at phones for sale on eBay or Craigslist and seen the term “iCloud locked,” this is what they are referring to. Evidently there is at least one method to bypass an Activation Lock, but it costs money and isn’t necessarily easy to do. 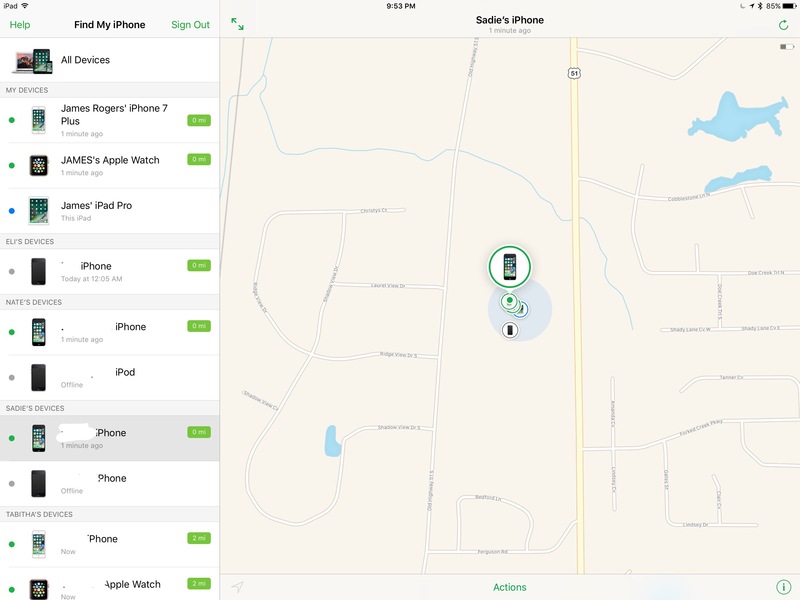 Find My iPhone is one of those things that every iOS device owned should take the time to set up and learn a little about. The features have many practical applications, the app is simple and easy to use, and it could potentially save you hundreds of dollars in lost or stolen Apple gear. If you haven’t enabled it or aren’t sure if it is, do yourself a favor and take a look right now. 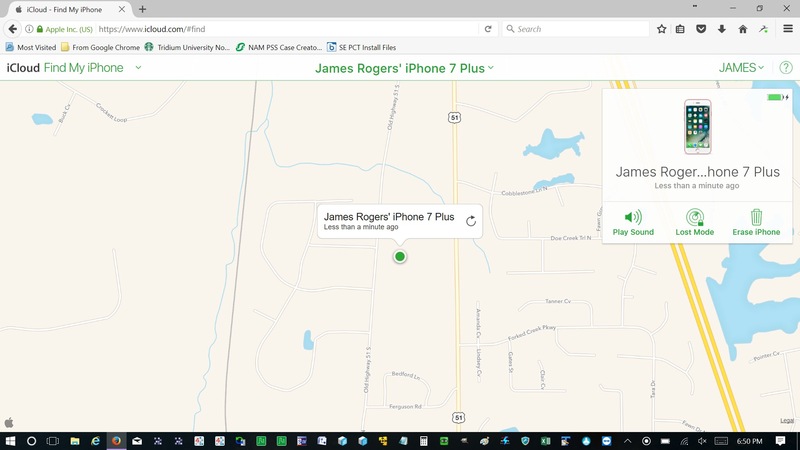 Do you have a Find My iPhone story? 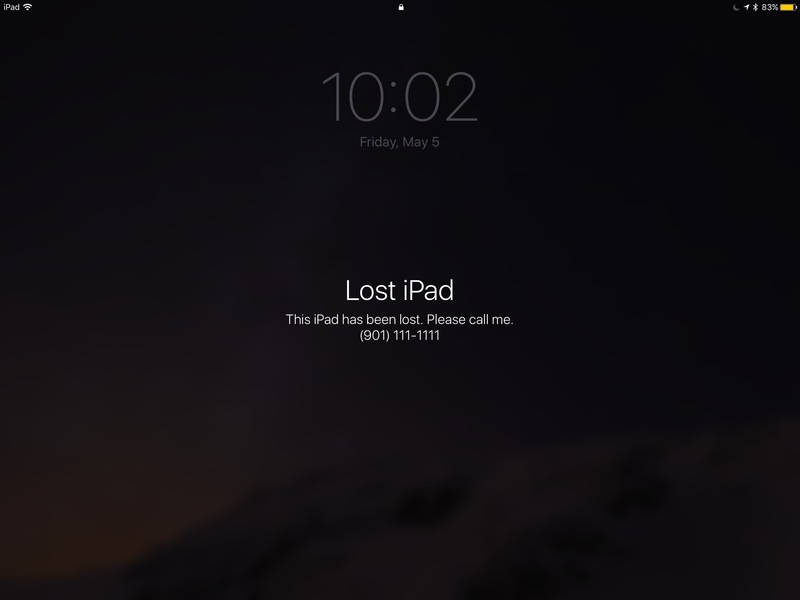 Has it helped you find a lost iOS device, or were you able to retrieve a device that was stolen? If so, we would love to hear about it. Let us know in the Comments below, on Flipboard, on our Facebook page, or on Twitter @iPadInsightBlog.